Mistyping Wi-Fi passwords are now a thing of the past. 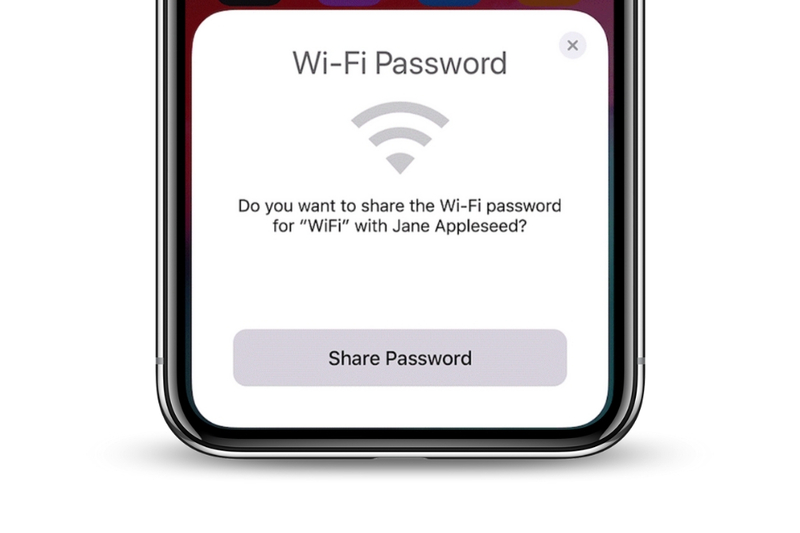 A little known feature introduced with iOS 11 makes sharing your Wi-Fi password with a friend or family members iPhone, iPad or iPod touch as simple as a tap of a button. Let’s set the scene: You’ve got a friend coming to visit and they ask for the password to your Wi-Fi network. Rather than shouting out the password printed on the back of the router, as long as Wi-Fi is enabled on both of your devices and Bluetooth is switched on, a prompt will appear on the screen of your device asking if you wish to share your Wi-Fi password with your friend. – As soon as you accept the prompt, the Wi-Fi password saved from your phone will automatically transfer over to your friends device just like magic. Having some trouble? Ensure the other person’s device is nearby and range for a stable Bluetooth/Wi-Fi connection, and double check your Apple ID is added to the other person’s Contacts app. If either of you have Personal Hotspot on, turn it off.